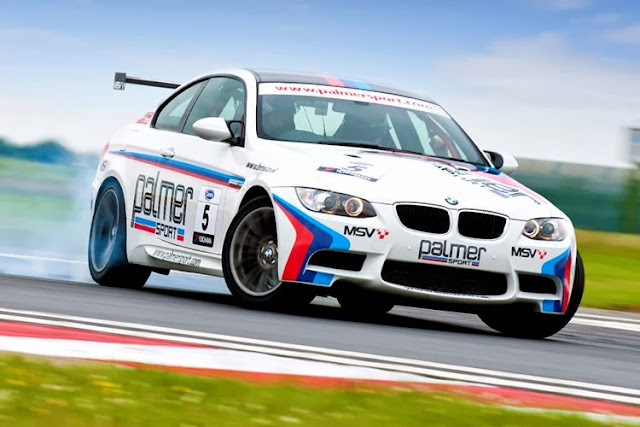 Graham King recently went on a driving day at Bedford Autodrome. It didn’t turn out quite the way he expected. If you read my columns on my trackday at Thruxton and the day I spent learning how to drift, you might remember that I've spent the last couple of months preparing myself to get a racing license. The last stage of my preparations was to be a PalmerSport day at Bedford Autodrome that I went on recently. It was a lot of fun, but it taught me much more about what I can't do in a car than what I can do. You see, when the scores were totted up at the end of the day, I finished 21st out of the 30 participants. Which was some way below where I was hoping I'd be. There is a perfectly valid reason, though. During the day I drove a Caterham, an Ariel Atom, an M3 and two bespoke racing cars, one a single-seater, the other a Le Mans-type sportscar. The one thing they all have in common is that they are rear-wheel-drive. Something I have little meaningful experience with. Inevitably I had a couple of spins. The problem was, though I felt the car getting away from me, my brain and body simply didn't know what to do about it. I know the theory inside out, but in the heat of the moment, theory goes out of the window. There's only instinct. And right now, I clearly don't really have any. With that praying on my mind, every time the instructor told me to put my foot down when the steering wheel was pointing somewhere other than dead ahead, I thought to myself: "If I do that there's a good chance the back end will step out on me. And I don't know if I'll be able to catch it." That thought process probably cost me six or seven seconds a lap. It started to get really frustrating. In many ways, I should have monstered it - I learnt the circuits within two laps and, as it turns out, my 'feel' for the cars' handling was fantastic - I picked up on every nuance of what was going on. But my ability to act fully on what I felt was sorely lacking. If the cars had been front or four-wheel-drive, I hope my times would have right near the top, since I know exactly what I'm doing with those layouts. But with rear-wheel-drive, not so much. Barely at all, clearly. I left Bedford Autodrome wondering what to do next. I took an easy decision to put off taking the ARDS test to get a racing license until such time as I get more rear-wheel-drive experience. But the question was, how to get that experience? Actually, that was fairly easy too: sell the Octavia vRS and get an MX-5. I figure a year ripping round in one of the little Mazdas should get me to a point where I'll be willing to put my credibility on the line in the heat of competition. I learnt a valuable lesson in what my limits are. It's a lesson we should all learn - so many accidents happen when drivers overreach themselves. Fortunately I did so whilst on a track, not whilst heading uncontrollably towards a large tree.